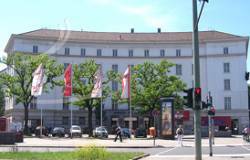 The international Symposium on GNSS, Space-based and Ground-based Augmentation Systems and Applications 2009 will take place at the Rathaus Wilmersdorf, Fehrbelliner Platz 4, in Berlin from Monday, November 30 through Wednesday, December 2. The Berlin symposium is one in a series for decisionmakers sponsored by the European Positioning Determination System and UNOOSA. The upcoming event will emphasize information exchange between EUPOS countries and their neighbors in the Eurasian region. Belarus, Georgia, Kyrgyzstan, Montenegro, Tajikistan, Turkey, Turkmenistan and Uzbekistan are invited. The focus will be on ground-based GNSS infrastructures and applications. Over the years, differential GNSS networks and services have grown in number, size and quality. The main emphasis at this event will be on EUPOS cooperation and the European Reference Frame (EUREF). The group will discuss best practices, organization, interoperability and cooperation. Another focus is multi-GNSS networks and interoperability, especially regional and organizational aspects of regional GNSS services. The provisional program is available online. It will be held in English. For questions about the program, contact Gerd Rosenthal, member of the program committee. The event is organised by the Berlin Senate Department for Urban Development and hosted by the Land Berlin. For questions about the event, contact Anette Blaser at the email below.